Home » Events » Food & Fun! Food & Fun! 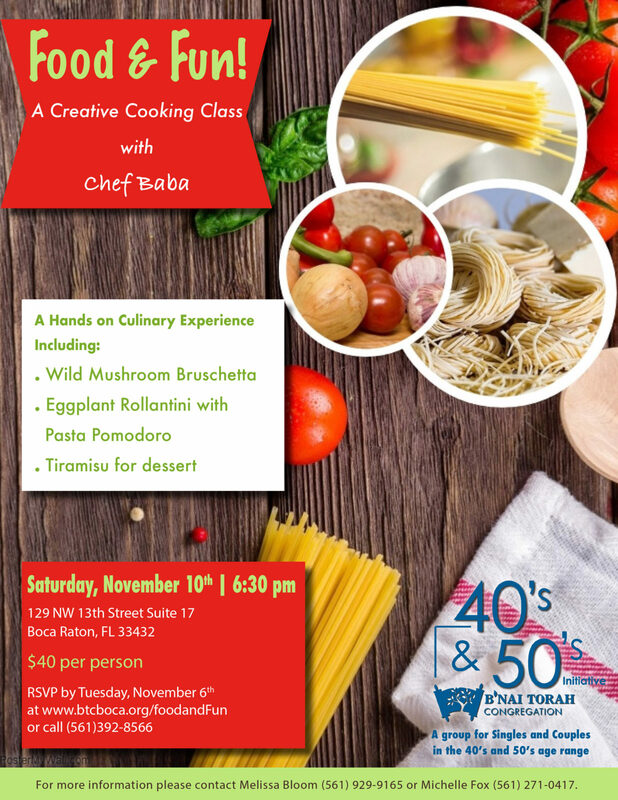 A Creative Cooking Class with Chef Baba.. Pull into the Office Depot driveway, proceed straight behind the Office Depot past the stop sign & park anywhere. It’s the first corner warehouse on the right, suite #17. (Please do not use “WAZE” for directions, use google maps instead).